Created for children ages 8-12 (but loved by listeners of all ages), Adventures in Odyssey is a 30-minute drama that combines the faith lessons parents appreciate with characters and stories that kids love! The official podcast gives behind-the-scenes information on the show, gives deleted scenes and answers fan questions. 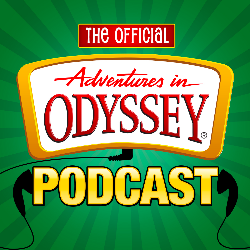 Listen and subscribe now to the best Christian podcasts today from podcasters just like Adventures in Odyssey: The Official Podcast. These popular Christian podcasts are available to listen to and download for free on Faithplay. Faithplay is filled with more episodes from Adventures in Odyssey: The Official Podcast and other top Christian podcasts. Download Faithplay today and start listening!